Jeff Evans, over at Inside Beer, is hosting a beer Twasting on Thursday 25th February. A beer tasting/twitter mash-up where everyone is invited to drink a couple of bottles of beer and tweet their thoughts on them, while seeing Jeff’s own thoughts. This is something I’ve been thinking about for a while so I’ll be playing along on Thursday. 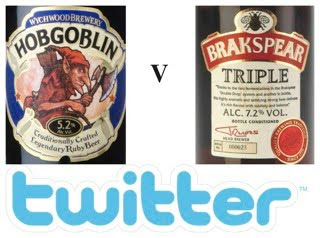 Just buy the beers, sit down at 7.00pm GMT, open them and tweet about them, directing them to @insidebeer and/or using the #ibtwasting hashtag. The two beers are Wychwood’s Hobgoblin and Brakspear Triple, so bottles which should be easy for everyone to find. Check out Jeff’s post on his website about the event for more details. 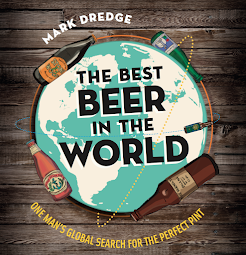 Interestingly, Ales by Mail attempted a Virtual Beer Festival on Saturday which I think was a great idea too – a box of beers, opened and enjoyed while discussing it on the internet; similar to a ‘real’ beer festival, just at home. I like it and I like the online interactivity of it all.